Research has shown that regular massage as part of a holistic approach to managing high pressure can reduce stress levels, and over time lead to a reduction in blood pressure. High blood pressure is a serious health concern in Australia with more than 3.5 million Australians diagnosed with the condition, and many more undiagnosed. This makes addressing the condition through a range of remedies extremely important. 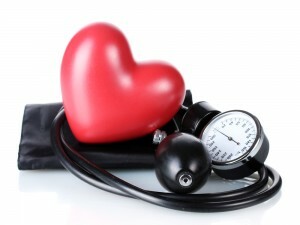 Many people suffer from high blood pressure in silence. One of the reasons it’s called the silent killer is that there are no noticeable symptoms of high blood pressure and left untreated will drastically increase the risk of heart attack and stroke. – Diet high in cholesterol and salt. Several studies have found that massage therapy reduced blood pressure over the long term including stress reduction and a reduction of salivary and urinary hormones, and lower depression and anxiety which can contribute to elevated blood pressure. Research conducted by the University of Florida found that patients suffering from high blood pressure who received multiple massages over a 10 week period had significant improvements in blood pressure compared to a control group who simply rested. Researchers from Leeds University in the UK also found that neck massages were particularly beneficial in reducing hypertension and help the brain maintain steady blood pressure, breathing and heart rate. Is it safe for very high blood pressure? If you have any further questions about how massage can help you with a range of medical conditions please speak to the Brisbane massage therapists at Mobilise Remedial Massage today on 0473 090 442 for our Toowong practice.